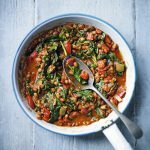 This wholesome lentil, pepper and spinach Balti is perfect for those who enjoy the flavours and textures of a tasty curry with none of the heat. Boil the rice according to pack instructions, then drain well. Meanwhile, heat the oil in a large frying pan. Add the onion and pepper and fry for 4-5 minutes, until softened. Stir in the balti paste, lentils and chopped tomatoes and bring to the boil. 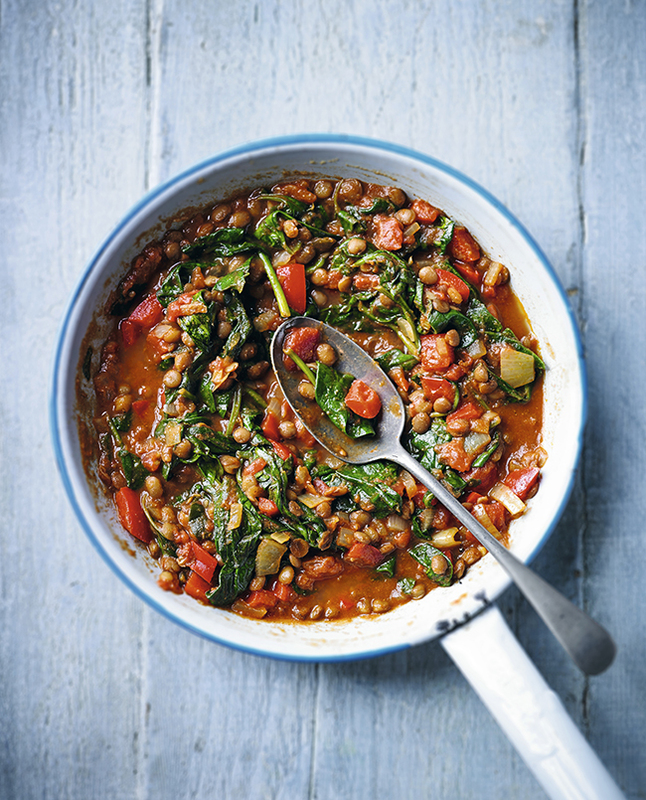 Simmer for 1 minute, then add the spinach and stir until wilted. Serve with the cooked rice.